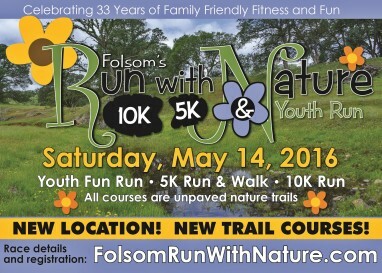 The City of Folsom Parks and Recreation Department is pleased to announce that we will be holding our 33rd annual Run with Nature event at the Alder Creek Preserve in Folsom’s newest master planned community, Folsom Ranch. 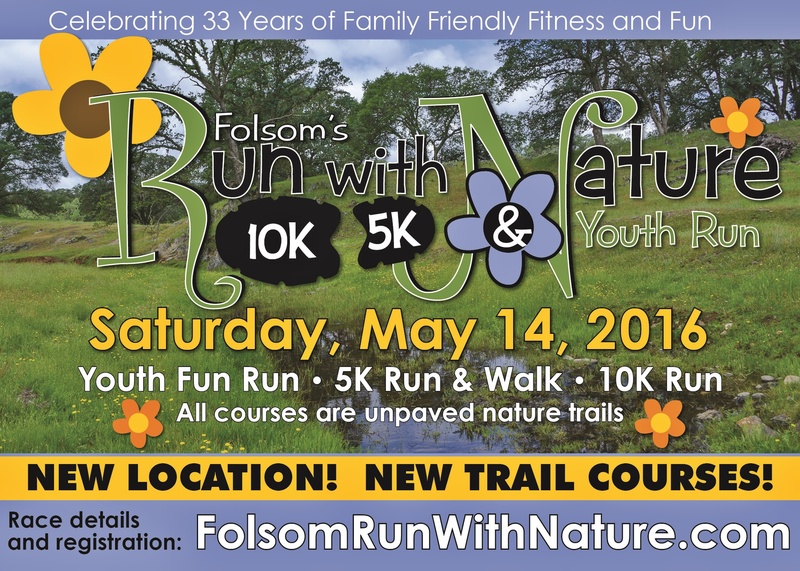 Centrally located within Folsom Ranch, the Alder Creek Preserve designates over 400 acres of contiguous oak woodland and natural resources and provides a spectacular landscape for this year’s 5k, 10k and youth ½ mile events. Enjoy our unique trail runs that will take you on a rarely experienced course through the Alder Creek Preserve Property. There is something for everyone: 5k trail and 10k trail chip-timed runs, a non-competitive 5k walk and a ½ mile youth run. Special Note: It is off limits any other time. This is a dirt cross country type course with a few rocky sections, no strollers allowed. 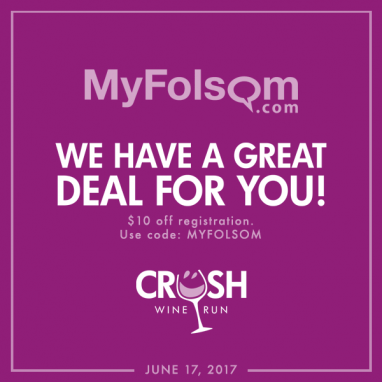 This is a special new course – don’t miss out! After a great race, come enjoy the post-race party, vendor fair, awards, raffles and refreshments.